As I've actually booked Disney and I'm so excited I woke my husband up at 4am to remind him, I decided my next manicure was going to be themed. 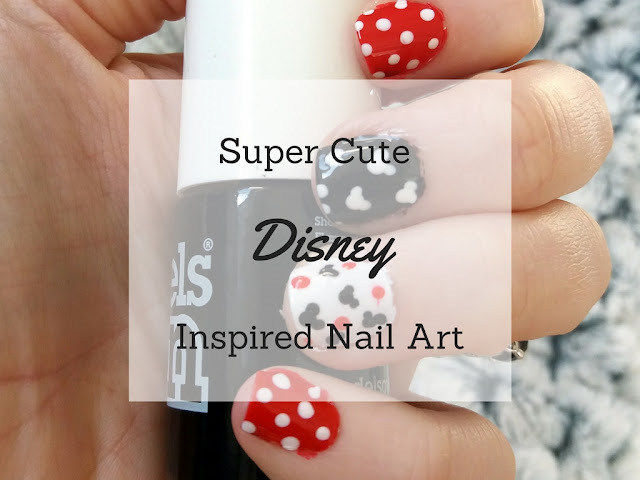 I love doing my nails but don't often get the time so I had a totally lazy afternoon and took my time to produce this super cute, super easy Disney inspired nail art! I spend far too much time pinning gorgeous nails on Pinterest but sadly I just don't get chance to spend hours making my nails look pinnable! I'm not the best at nail art but I really enjoy doing it, there's something about having nails that stand out from the crowd that I love. I'm never without my nails painted and I just adore how they can be so attention grabbing - I'm always the one who checks out peoples nails! I then coated every nail with Ever Glaze Prep, which really helps gives any nail varnish the staying power of gel. Once both coats were dry I then moved on to the fun part! I decided on which nails I wanted what colour and applied two coats of all three colours to make sure I had a proper colour pop and it was nice and evenly coated. Once all the nails were thoroughly dry I opened a bobby pin and used the ends to create the dots and Mickey/Minnie mouse heads. I didn't have a set pattern for any of the dots, I simply popped them on where ever I thought was needed! Unfortunately I didn't wait long enough before applying my top coat so a few of the dots smudged slightly but overall I'm super happy with how they turned out. 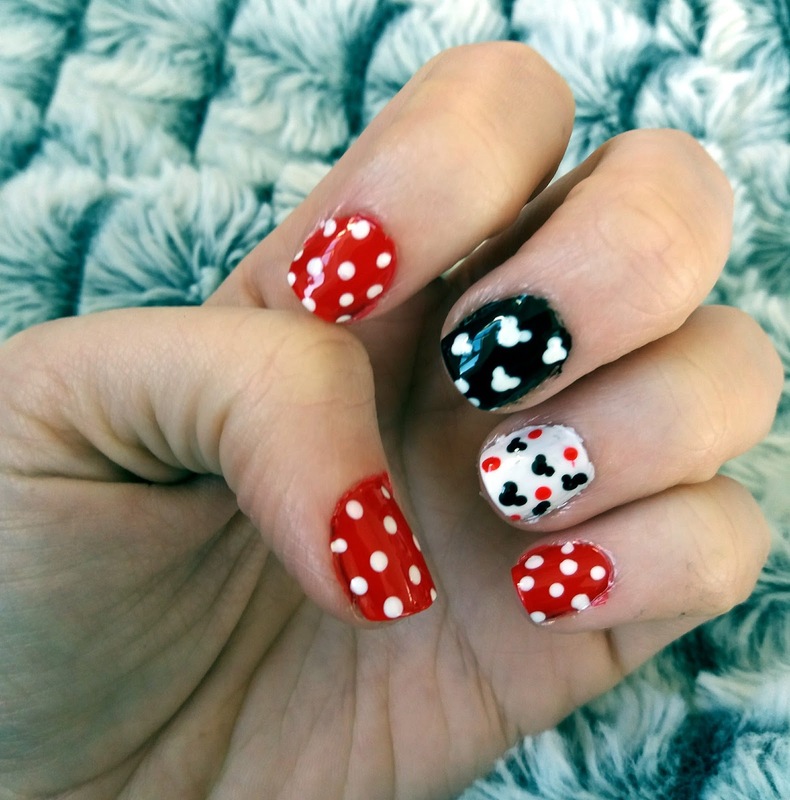 I think before I do this kind of nail art again I'll invest in a proper dotter, you can pick them up for just a few pounds on Ebay. I used to have some and they really do make life a lot easier! 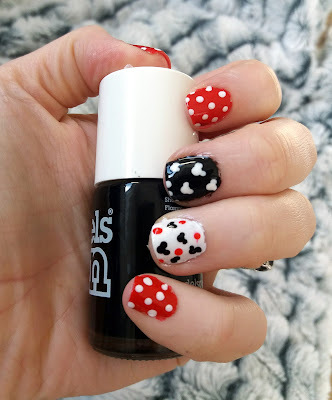 I think in the run up to my Christmas Disney visit, I'm going to attempt lots more Disney and Pixar themed nails, so if you like this let me know and I'll continue to post my Disney nail art adventures! 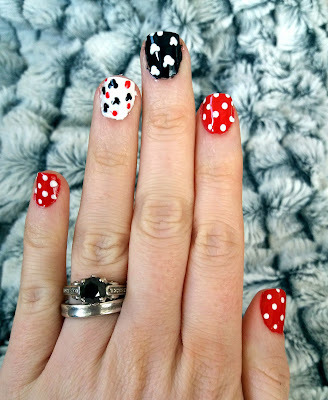 What's your favourite ever manicure? 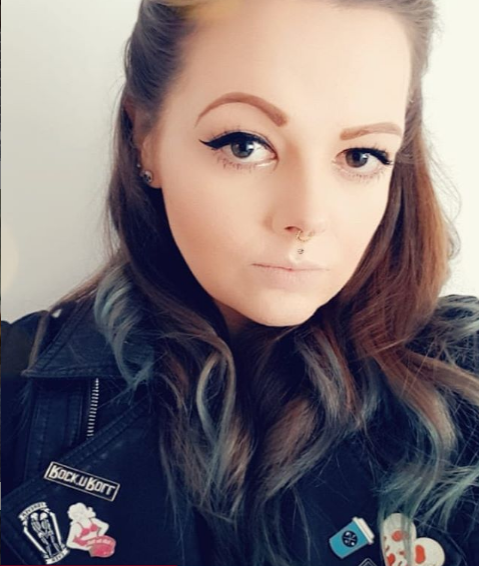 I know for sureeee I will never be able to pull this off, but it looks amazing! !